Lowest Price Online: $9499.00 ? There's not much to add here that the technical report doesn't make abundantly clear: for the price this lens commands, it provides the ultimate telephoto lens experience, with quality second to none, a feature set with a learning curve, and a suitcase to carry it in. This phenomenal lens is one major step to sharp, detailed pictures. Proper equipment and technique can all work together to produce razor sharp images. A super steady tripod and gimbal head (I use RRS gear), along with a cable release and mirror lock up help extract all this lens is capable of. What an amazing piece of glass, well worth the money. This thing is huge and needs to be on a sturdy tripod. Sharp and clear, very little distortion. So I decided long ago I'm not going to own every super telephoto for a number of reasons which are probably obvious to most people. Cost, weight, bulk, etc. 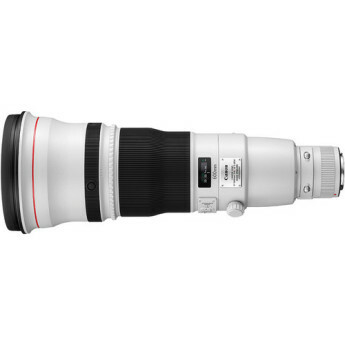 I already had a 300mm f/2.8L and I have the "little" 400mm f/5.6L. So I decided I was only going to buy ONE lens larger than these. Great lens, expensive yes, but it feels like it's built to last longer than any lens I've ever owned. I've owned it for a month now and I'm still learning the Canon system after shooting with Pentax for the last few years.The only thing about the lens I am disappointed in is the lens hood. This lens did not disappoint me. 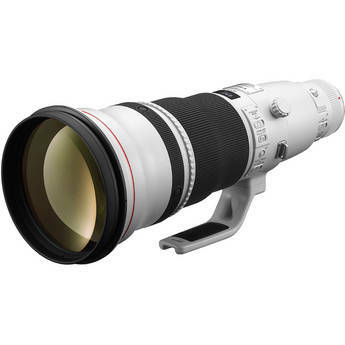 I had a 300mm f/2.8 L that I used almost always used it with a 2x, so I sold it and bought one of these. The IS works well for me. Focusing is quick when focussing is easy. Sometimes it takes a bit of effort if you are shooting through trees or grass. Image quality is very good. Simply amazing technology in every way! I moved up from a Canon 100-400mm to the 600mm II for wildlife photography and it opened up a whole other world. I use to pass on shots or took the shot just to ID the subject. I just received this one week ago but I have not had a chance to take any shots yet. I have it mounted on a sturdy tripod with 5D mk IV pointing out into the woods. I'm waiting for some clear weather and daylight to put it to the test. I have no doubt it will be excellent.